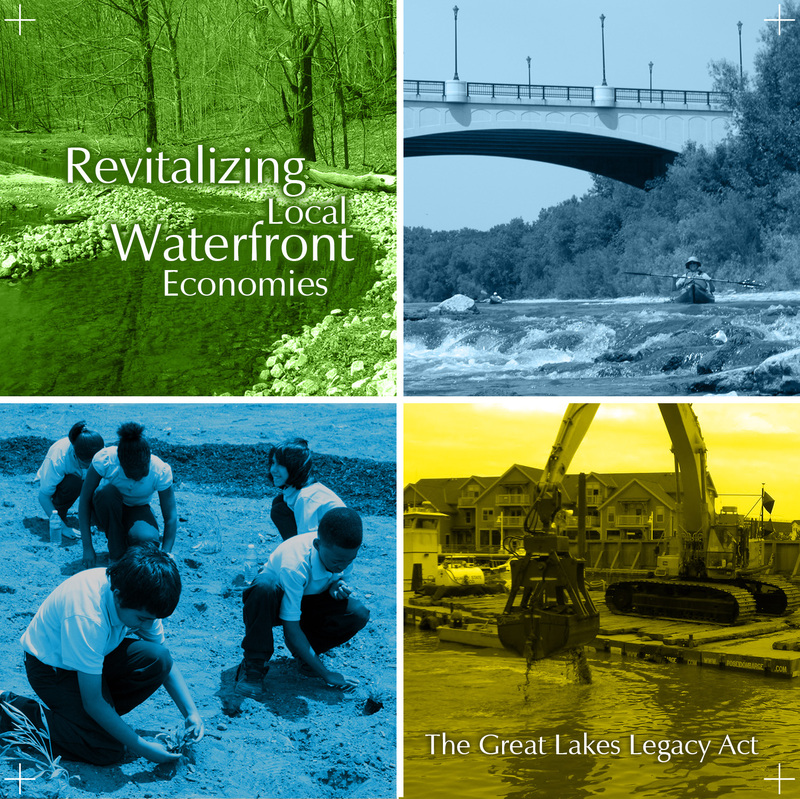 The new Sea Grant video, Revitalizing Local Waterfront Economies: The Great Lakes Legacy Act, welcomes people and partners to the benefits of restoring degraded rivers, harbors, and lakes. This week the video helped inform lawmakers in the U.S. Senate as they developed bipartisan legislation to protect and restore the Great Lakes. The Great Lakes Ecological and Economic Protection Act was introduced by Senators Carl Levin (D-MI) and Mark Kirk (R-IL), co-chairs of the Senate Great Lakes Task Force, along with Senators Debbie Stabenow (D-MI), Amy Klobuchar (D-MN), Sherrod Brown (D-OH), Richard Durbin (D-IL), Al Franken (D-MN), Charles Schumer (D-NY) and Tammy Baldwin (D-WI). In addition to reauthorizing the Great Lakes Legacy Act, which provides support for communities to clean up waterways that are designated Areas of Concern (AOC) the United States and Canada, the new legislation would continue funding the Great Lakes Restoration Initiative and the EPA Great Lakes National Program Office. 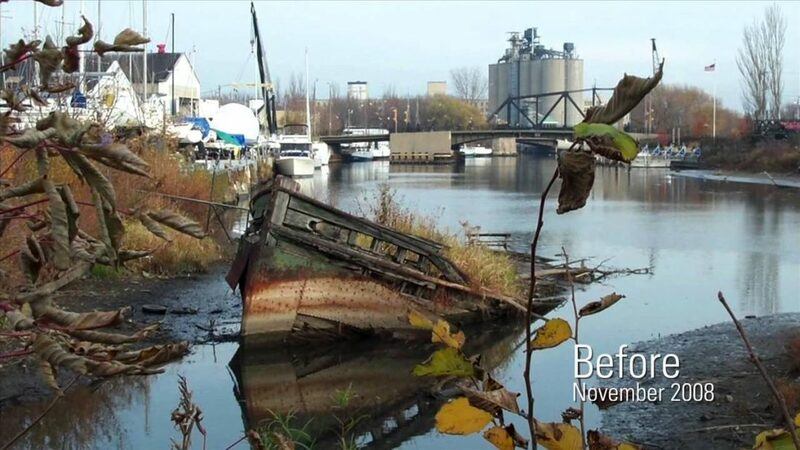 The 10-minute video, produced by Illinois-Indiana Sea Grant and Wisconsin Sea Grant, explores Great Lakes waterways blighted by decades of industrial discharges like heavy metals, oil, and chemicals such as PCBs and PAHs. The 2002 Great Lakes Legacy Act created an initiative to clean up contamination in these AOCs. There are currently 29 AOCs in the United States. The habitat, water, and sediment quality have become severely degraded at these sites. The video informs anglers, boaters, residents, and local businesses of the benefits that can come from a remediated AOC through the Legacy Act. The procedures and successes are the result of strong partnerships among states, municipalities, non-governmental organizations and businesses. Under this voluntary, collaborative program, the EPA and its non-federal partners have allocated almost $400 million toward sediment remediation. As of September 2012, the program has removed or capped 2.1 million cubic yards of degraded sediment. But more waterways need to be cleaned up, and community involvement is essential. In the short time that it has been available, Revitalizing Local Waterfront Economies has more than 1,200 views.  The video was funded by a grant from the EPA Great Lakes National Program Office. To order a DVD copy, visit the Wisconsin Sea Grant products page or head to our Coastal Restoration products page. Learn more about the Great Lakes Legacy Act at the EPA’s GLLA webpage.